HAI is very excited to share the news from our Timor-Leste program that the Liga Inan mhealth project has launched in the Ermera municipality! Congrats to the Timor Leste team, and to all our great partners: Catalpa International, Timor telecom, USAID, Australian Aid, and the Timor-Leste Ministério da Saúde (Ministry of Health)!!! Official launch of the Liga Inan mHealth project in Ermera, Timor-Leste. The Ministry of Health in partnership with, Health Alliance International (HAI) and Catalpa International, launched the Liga Inan program in Ermera today. The launch was attended by the Head of the Maternal and Child Health Department, Ministry of Health, Dr. Triana do Rosario Corte-Real de Oliveira, the Ermera Deputy of Health Services for Ermera, Sr. Graciano C. da Cruz, the Ermera Deputy Municipality Administrator, Municipality Director of Social Solidarity, and other health officials and partners. 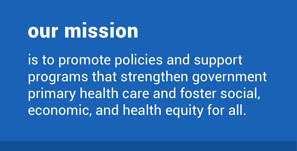 Liga Inan program aims to improve the likelihood of a health pregnancy and birth and reduce maternal and infant mortality and morbidity by connecting expectant mothers with health providers. 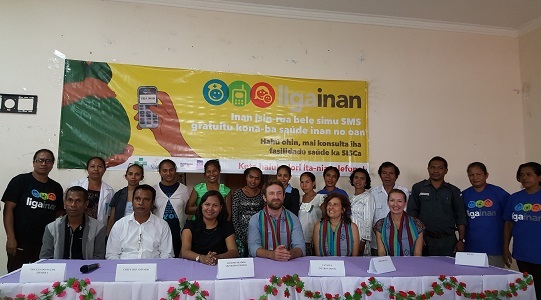 Liga Inan is Timor-Leste’s first mHealth program. “Distance and a lack of information are major barriers in Ermera and keep mothers from accessing health services”, said Anders Hofstee, Executive Director of Catalpa International. “Liga Inan isn’t about the technology, it’s about giving midwives and doctors the tools to help provide mothers with the support they need” he continued. “Through facilitating communication between mothers and midwives, we are increasing trust in the health system and women’s confidence in being able to ask questions and for help when they need it most.” said Che Katz, HAI Country Director based in Timor-Leste. Liga Inan, initially supported by the American people through United States Agency for International Development, was first launched in March 2013 in Manufahi municipality and the Australian Government is currently funding the program expansion to additional municipalities. Liga Inan sends maternal health-related text messages twice weekly to pregnant women and facilitates contact between women and their midwives, including regular phone contact around the time of delivery. Timor Telecom is also supporting the program through the cost of SMS messages to pregnant women and phone credit to health staff. With over 5, 800 estimated pregnant women a year in Ermera, Liga Inan aims to reach 2, 900 in the first year. “The Government of Timor-Leste is committed to improving maternal and child health in Timor-Leste. The Ministry of Health implements the Liga Inan program as one strategy to improve health care access for mothers and newborns through strengthening the relationship between health staff and pregnant women. Based on the programs results in other municipalities, we hope to see increases in key coverage indicators for maternal and child health and for pregnant women and newborns to get the health services that they deserve”, said the Head of the Maternal and Child Health Department. Over 7,500 women have been enrolled in the program as of March 9, 2016 across four municipalities. Monitor program progress through live statistical updates on the program website on the number of women enrolled, total number of births confirmed by health staff, and the amount of requests for assistance from mothers to health staff at: www.ligainan.org.